A friend and neighbor of mine allows me access for photography. 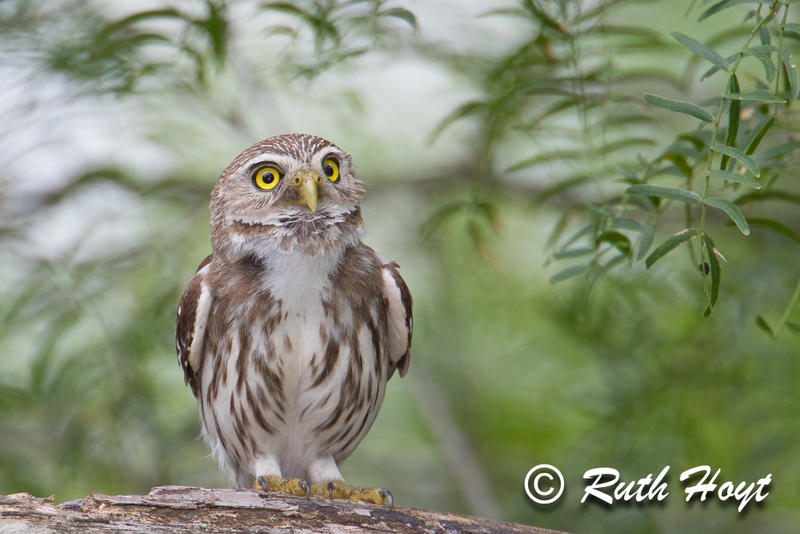 A few years ago I heard the tooting of a Ferruginous Pygmy-Owl there but didn’t find it. I knew then that the bird was on the Endangered Species List and that I would return and find them there eventually, but it took me time to study their habits and learn more about them. Last night I brought Tracie Martin, a non-photographer friend, to visit the property. Within a couple of minutes after our arrival, we heard the little guy tooting away and eagle-eyed Tracie spotted him. I was able to get some nice photographs, including one on a dead-snag perch with a blue-sky background. This morning I returned with my long-time friend and photo buddy, Debbie Thomas, and we both photographed the bird successfully. At one point the little bird flew to a tree just a few feet in front of us, but neither of us moved. It was more enjoyable to observe him without having to look through binoculars or a camera lens. There are at least two birds on the property and I’ll be returning often to see, study and photograph them in close proximity. Let me know if you’d like to join me. I’ve posted my favorite photo from this morning below. Be sure to click on the image to reveal the entire photo. 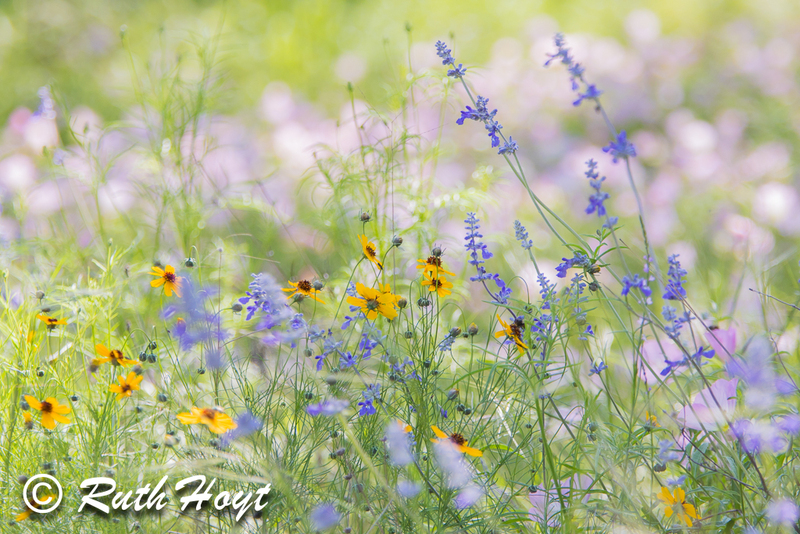 Last week I shared flowers on Mother’s Day, taken on homestead property owned by friends in Hill Country, Texas. They also took me to another tract of property they own outside Harper, Texas, about a 30-minute drive from their homestead. The 120-acre property has been lovingly maintained with conservation in mind. 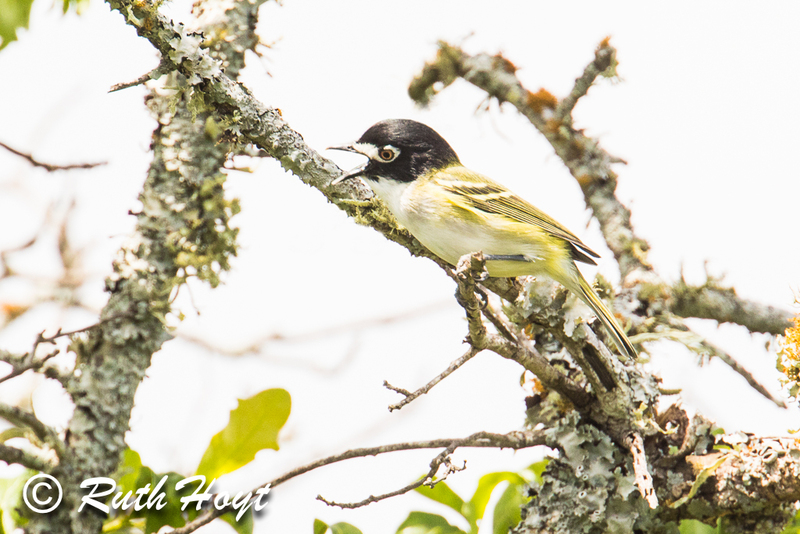 We hiked around the property in various parts, looking for a very special bird, the Black-capped Vireo. 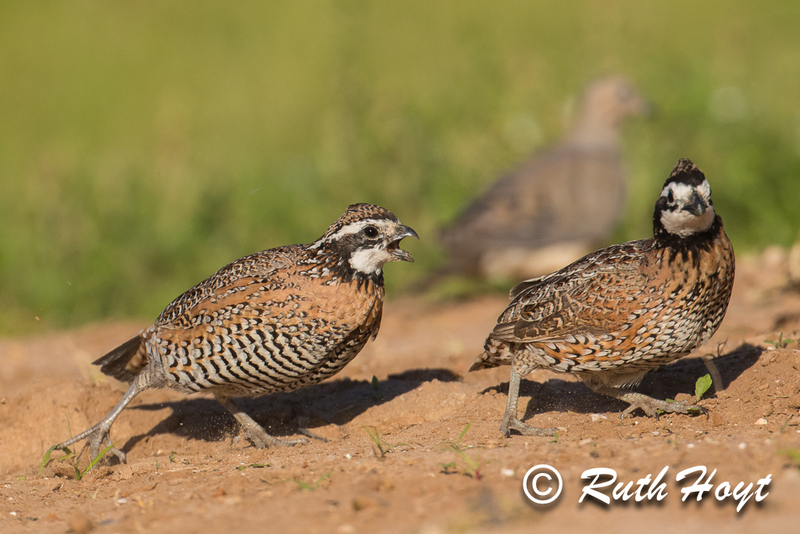 This rare bird is on the Endangered Species List, but uses habitat like what is on the property as its breeding grounds every spring. We were very fortunate to get glimpses of several of the birds, but they mostly stayed in the densest brush onsite. Toward the end of our visit were rewarded with a photo opportunity for me and the first photos that document the Black-capped Vireo on their property. We were thrilled, to say the least! Please remember to click on the photo to reveal the entire image. Mothers are special for so many reasons. I hope they all have the best Mother’s Day ever! Photo taken recently in the back yard of Susan & Errol Candy while visiting and teaching photography in Hill County, Texas. Be sure to click on the photo to see the full image and let me know what you think! I’ve been out of touch for a few days, mostly due to lack of connection to cell towers and the internet. I led a half-day workshop for the Wings Over the Hills nature festival based in Fredericksburg, Texas, and had a wonderful time. I stayed with wonderful hosts, Susan & Errol Candy, and thoroughly enjoyed my time spent with them. I’ll write more about my Hill Country experiences from where I am in Houston the next few days. For now, I’d like to “virtually” return to the Jones Alta Vista Ranch in Jim Hogg County of south Texas and flaunt some of what’s there on the ranch. 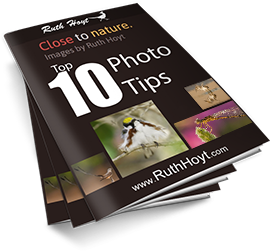 Over the past few weeks I’ve guided some photographers there, introducing them to the ranch and introducing the ranch to the photography world. Each photographer who has visited has said they want to return, and we already have reservations booked as far out as 2017! Contact me to schedule a visit there. 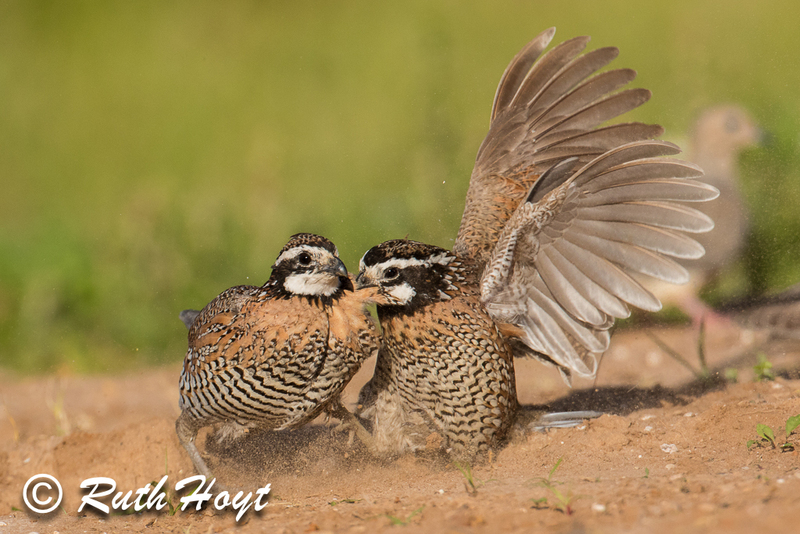 Here are two photos of male Northern Bobwhites, taken from a sequence of photos of a squabble over a hen (nearby, out of sight). I think you can really see the expressions of their faces reflecting the intensity of the feud. Be sure to click on the photos to see the full images and let me know what you think! Prior to my arrival in Texas, I worked mainly on micro/macro photography. Here in Texas I discovered that a constant breeze or wind was the “norm,” a challenge for close-up photographers. I continued what I was doing, but people who were heavily involved in activities involving birds came into my life and my photography took a turn. Nowadays I love taking the opportunity to return to my tiny world when the opportunity presents itself, and that’s what I’ve chosen to share with you today. 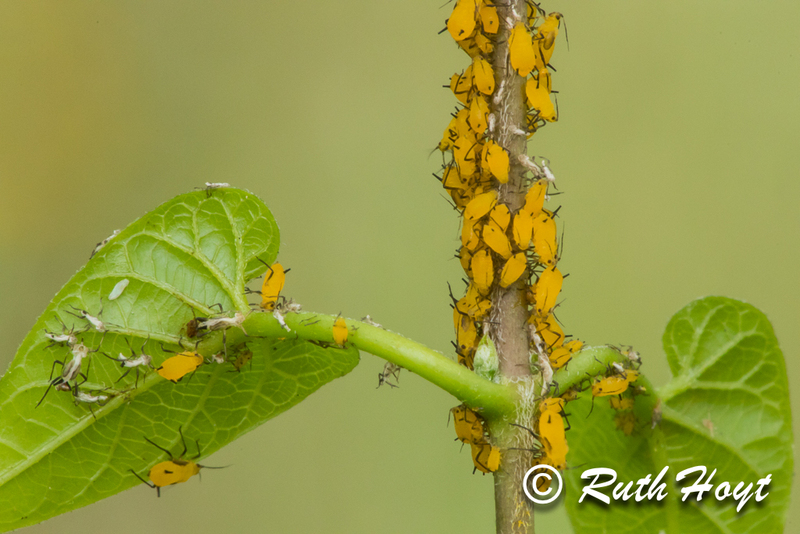 I was out wandering the beautiful Jones Alta Vista Ranch in Jim Hogg County, Texas, looking for potential perches for birds, when I spied a vine loaded with yellow aphids. I had to stop, pull out my tripod and macro lens and take some time to photograph these tiny creatures. Please be sure to click on the image to reveal the entire image and caption.